Wizard Dojo – Page 118 – A wizard is never late, nor is he early. He reviews stuff precisely when he means to. The WarioWare series is one of Nintendo’s secret weapons. It’s never had the mainstream appeal of Mario or Zelda, nor does it have their depth, but in many ways, it’s as purely fun as anything Nintendo has made. The winning formula is simple: play a series of seconds-long micro-games in rapid-fire succession, each of them being as simple as a button press or two, but each one containing its own gimmick and sense of humor as to be sure the player is left with a goofy grin when all is done. So when Game & Wario promises to take those micro-games, and expand them into something bigger, it sounds enticing. 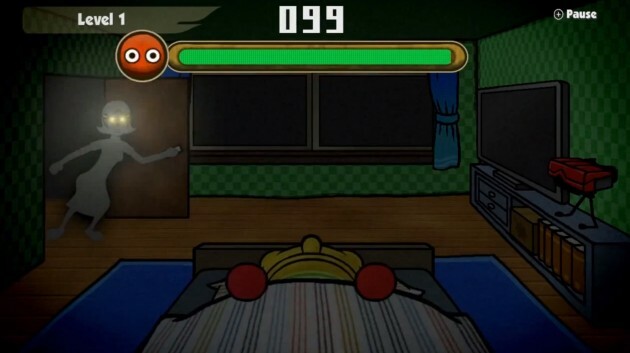 If WarioWare is as delicious as a main course as it is an appetizer, than it should be quite a satisfying feast. It should be, or so it seems on paper. But it isn’t. 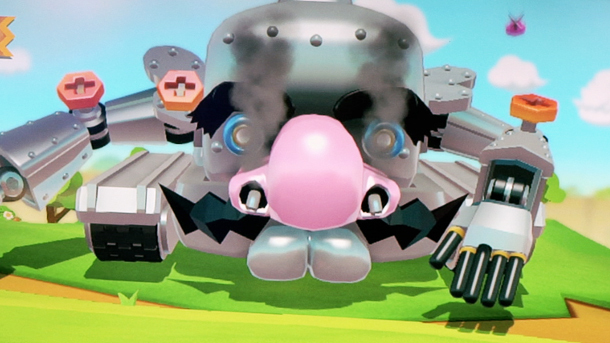 Game & Wario’s main issue isn’t that it’s innately broken, but that its execution feels hollow. Whereas WarioWare houses hundreds of little bite-size pieces of fun and game design brilliance, Game & Wario’s mini-games feel empty. The games are bigger, but stretched too thin, and clocking in at only sixteen games, their just aren’t enough of them to make up for the lack of creative spark. 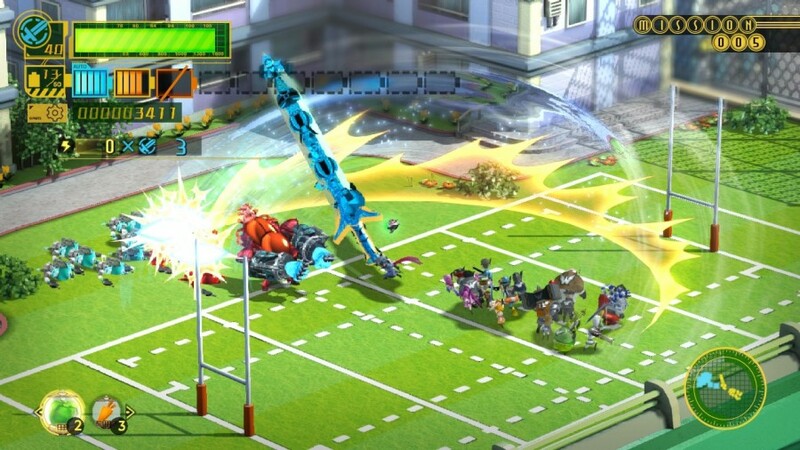 Some games provide good entertainment: Arrow is a simple tower defense-style game where the Wii U Gamepad is used as a bow and arrow to fight off invading robots, and Kung Fu is a plat former in which the character can’t stop jumping, with the Gamepad screen providing a different view of the stage than what’s displayed on your TV, with the dual perspective setup being a fun twist on platformers. These titles may be fun, but simply aren’t deep enough to hold their own, and when the vast majority of the packaged games aren’t half as entertaining, it becomes clear that Game & Wario has a very limited bag of tricks at its disposal. A skiing game – aptly titled Ski – fails to recapture the replayability of one of the events of Wii Sports. Design, a seemingly simple sketch game that uses the touch screen to draw what’s instructed, feels unresponsive. Four of the games are based around multiplayer, but none of them make for very compelling party games, and considering that’s a field where Nintendo usually excels, it stings all the more. Game & Wario may promise bigger games than its WarioWare brethren, but it’s proof that bigger isn’t always better. ZombiU is a game that isn’t short on ambition, but stumbles in execution. It’s nothing short of an attempt by Ubisoft to solidify the Wii U as a console that can support “gritty” and “mature” titles like it’s competitors, and in this sense, ZombiU succeeds. It’s scary, violent, and filled with guns and exploding zombie heads. It fits right into the mold of the over saturated zombie apocalypse FPS we’ve all grown accustomed to. 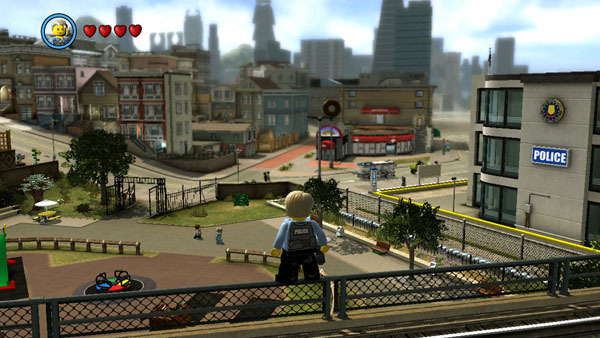 But as a gameplay experience, it feels clunky, unfinished, and worst of all, boring. The player assumes the role of a survivor in the midst of a zombie outbreak. 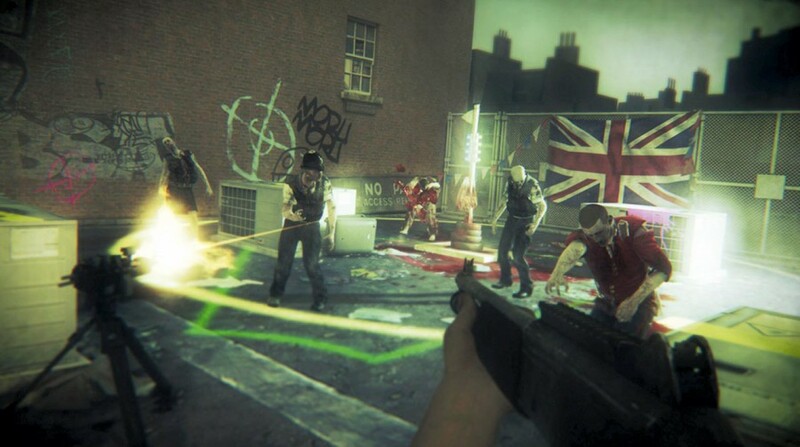 You are not armed to the brim with guns from the get-go, instead you have to track down weapons and items in a zombie-filled London. Should you manage to be killed by a zombie (which becomes an increasingly annoying habit), you will then take control of a new survivor, and you’ll have to find your zombified previous character, and kill them if you want to get your equipment back. The setup is a nice twist on an increasingly stale genre. 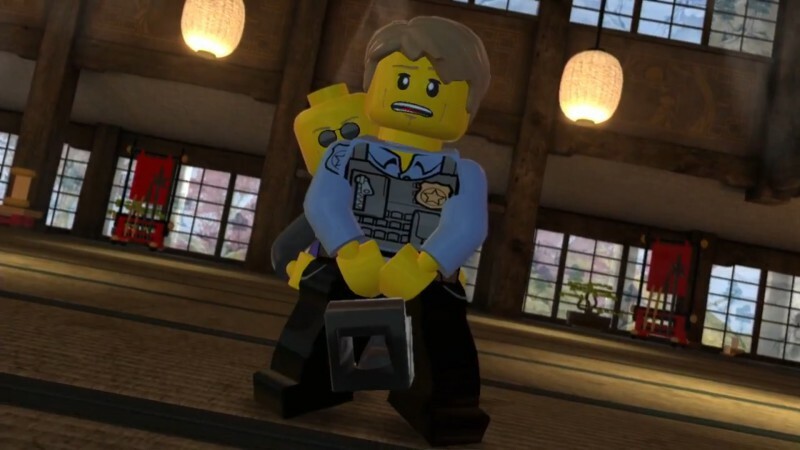 Making weapons and items more difficult to come across and the permanent deaths of your characters give the game a sense of urgency that has slowly disappeared from survival horror. But the tension and atmosphere can’t make up for the poorly-executed controls. ZombiU makes some clever usage of the Wii U Gamepad, using its screen to manage your inventory and view mini-maps feels at home. But controlling your character is another story. Combat feels sloppy, with melee weapons in particular using an odd setup of multiple shoulder buttons, which makes for a slow and clunky execution. You’ll find more often than not that your survivor has died at zombie hands not because you were too slow to act, but because your character was too slow to react to your button presses. Multiplayer is included, but feels a bit tacked on. A survivor versus zombie mode is fun for a few quick rounds, but soon becomes repetitious and shallow. There are some nice little ideas at work here in ZombiU (it even takes a page from Dark Souls and allows players to write messages for other players during their play through of the game), but for all its promise it all ends up being a mediocre affair. The questionable control scheme and overall sluggish pace of the game make it feel like, well, a zombie. How to Train Your Dragon 2 the sequel to Dreamworks’ acclaimed 2010 animated feature of a similar name (minus the 2). Dreamworks hasn’t had the most consistent track record when it comes to sequels – for every great Kung Fu Panda 2 there’s been a not-so-great Shrek the Third – but given the status of ‘Dragons’ among Dreamworks’ features, it seems the studio has made an honest effort to live up to the original with How to Train Your Dragon 2. But just how effective is that effort? I have a bit of a confession to make. I found the original How to Train Your Dragon to be great when I first saw it. But I’m afraid it doesn’t hold up so well in repeated viewings. It’s a good film that tells a solid story (no tired pop-culture references), and it had some nice emotional touches, but it also lacked any real sense of inventiveness. There were no surprises, and the story could largely be figured out by the trailers alone. You could say that How to Train Your Dragon was good and pretty much everything it did, but everything it did was pretty much everything you expected it to do. I think it’s safe to say Dragon 2 continues this trend. It’s solid, but nothing groundbreaking. Though that may be less forgivable the second time around. The story takes place five years after the original film. Young viking Hiccup has done a lot of growing up (bringing peace between vikings and dragons will do that). His father, Stoic the Vast thinks it’s time Hiccup begins preparing for the day when he succeeds his old man as chief viking of Berk. But all is not well in the world. An old enemy of Stoic’s, Drago Bludvist is training dragons of his own, with the intent on creating a dragon army to take over the world! 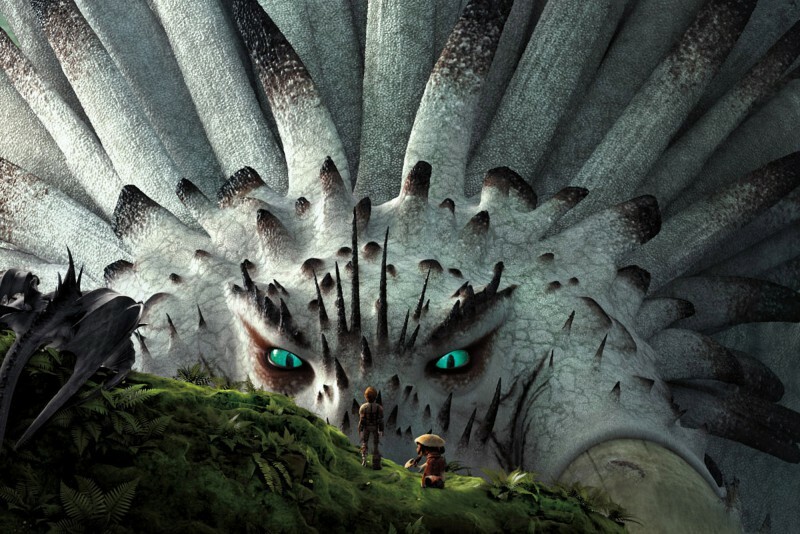 Hiccup, his dragon Toothless, his girlfriend Astrid, Stoic and the rest of the vikings are then dragged on an adventure that, among other things, leads to the discovery of Hiccup’s long-lost mother Valka. 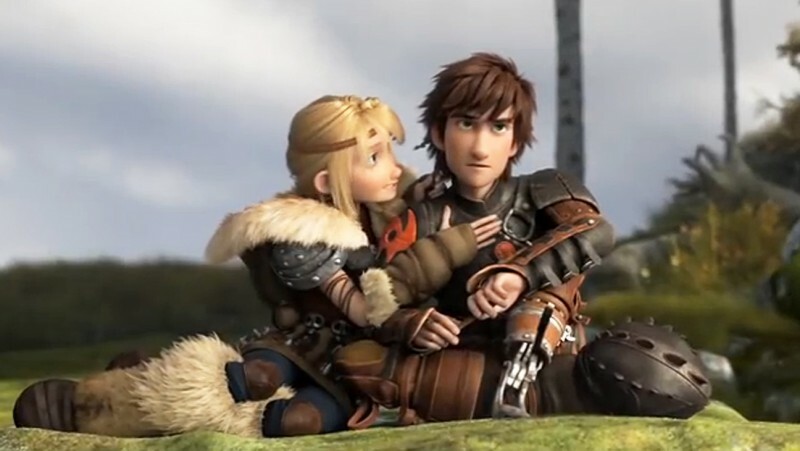 The story is tight enough, with some clever writing and good character development with Hiccup (his relationships with his parents being a highlight), and a good sense of humor to boot (one notable scene involves Astrid poking fun of Hiccup’s mannerisms, which seems like a sly joke by the filmmakers at the way they animated the main character). 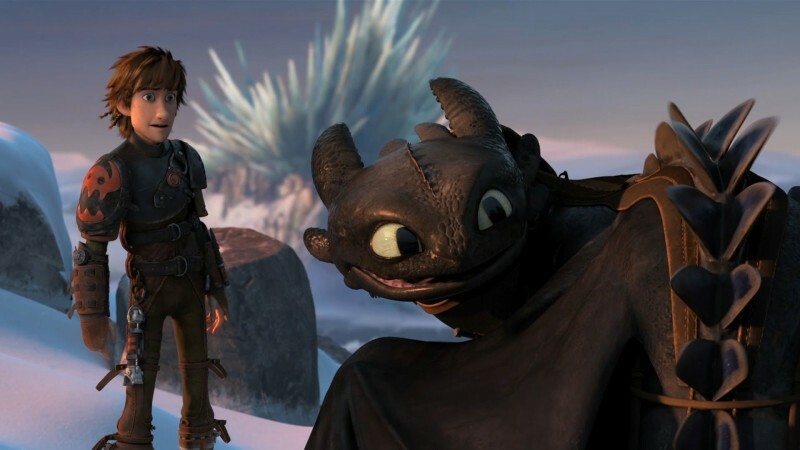 The downside is, with all the good, How to Train Your Dragon 2 still suffers the same shortcomings of its predecessor. My primary gripe with the first Dragons was that the supporting cast was largely comprised of one-note characters, and that rings doubly true here. Stoic’s right-hand man Gobber is the essential goofball, while Hiccups friends fill a similar role, but even more condensed: Snotlout and Fishlegs spend the entire movie swooning over Ruffnut , who in turn spends the entire movie swooning over someone else. Ruffnut’s twin brother Tuffnut gives a few obligatory one-liners during the film as to not be completely left out. Even Astrid feels like forced ‘strong girl’ character, following the trend that a girl needs to act like a boy in order to prove she’s strong. It’s not that any of these characters are unlikable, but the fact that they feel defined by a singular joke or trait does make it feel like the Dragons series has a bit of an excess in supporting characters. This goes double, however, for Drago Bludvist, who amounts to little more than the archetypal “the world shall soon be mine” kind of villain. And given that Bludvist has a considerably bigger role than the aforementioned characters, it only magnifies his one-note villainy. Another problem is that much of what happens in the movie’s first half happens all to quickly. Perhaps Dragon 2 is trying to tell a story that’s too big for its own running time, but some of the earlier parts of the film feel like they’re cramming elements together to get from point A to point B as quickly as possible. Thankfully, the second half of the film smooths things out and finds a more consistent flow and steady pace. If you loved How to Train Your Dragon, then you should love How to Train Your Dragon 2. It has all the pieces that made the original one of Dreamworks’ better animated films, but it also doesn’t exactly improve on its predecessor either. It’s a fun, beautifully animated ride, just like the original, but it’s also full of more elements than it knows what to do with, and aside from one big emotional moment, lacks any real surprises. 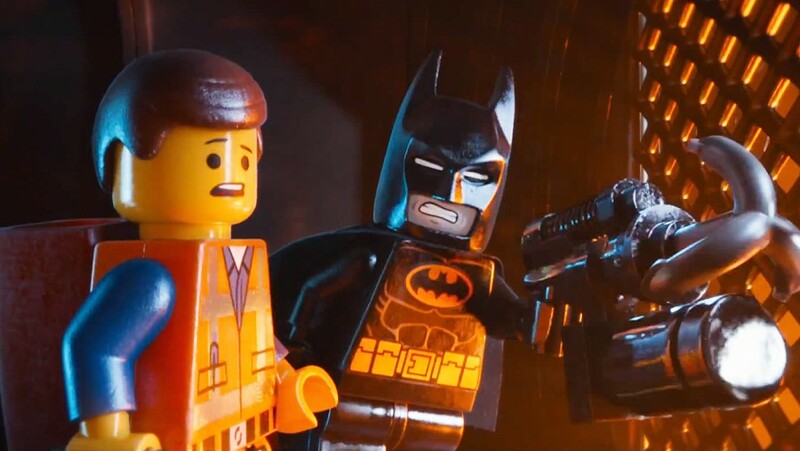 Maybe it’s not the bigger and better sequel it wants to be, but if you’re a fan, you probably won’t care. Sticker Star looks to return the Paper Mario series to its turn-based RPG roots, after fans cried fowl at Super Paper Mario’s platformerization of the series. But turn-based is just about all Sticker Star can claim to have in common with its predecessors. Super Paper Mario may have strayed from the formula, but retained the series’ charm and humor. Sticker Star, by contrast, feels like it took the template from the first two games, and stripped them of their depth. Yes, turn-based battles are back, but now Mario’s every action is dictated by the various stickers he’s collected. Mario finds stickers on walls, floors, hidden in chests, pretty much everywhere. Collecting these stickers is more fun than actually using them, as you can only carry so many at a time, and after just a few short battles, you’ll find you’ve exhausted your entire pool of stickers. More powerful objects, aptly titled ‘Things’ can be turned into uber powerful stickers, but come at the cost of taking up more room in the already limited sticker inventory. 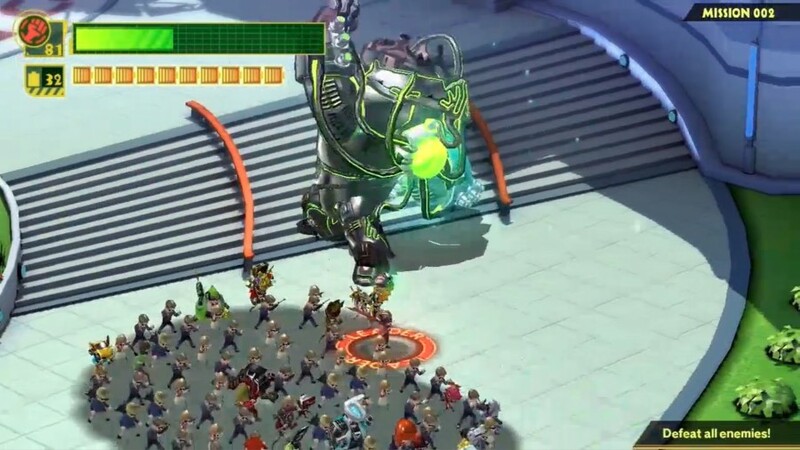 An even bigger problem arrises with boss battles, which take a drastic leap in difficulty over the rest of the game, and each will probably have you use up all your hard-earned stickers in a few short moments. A roulette wheel gives Mario the opportunity to use two or three stickers in a single turn, but relying on chance just to use more moves only makes the battles feel more tedious, and should you destroy every on-screen enemy before executing every sticker, you still lose all the stickers you selected after the spin of the wheel. The battles simply become taxing. It doesn’t help that the other RPG elements have been stripped away, either. Mario no longer gains experience points, any and all new moves and actions are obtained through, you guessed it, stickers. Mario gains additional hit points from finding HP blocks, and Mario doesn’t have any partners by his side this time around, meaning the gameplay (and charm) of the game lacks the variety of the older Paper Marios. Mario’s only ally is a floating crown named Kersti, an attempt at giving the famed plumber a comedic sidekick, but not a very effective attempt. The writing lacks the wit and personality the series is known for (this includes Super Paper Mario, which was hilarious). When Bowser – who has been promoted to primary antagonist in a Mario RPG for the first time since the original Paper Mario – doesn’t even get a single line of dialogue, after having been a wonderful source of comedy in past RPGs, the lack of oomph in story and writing is only magnified. There are some highlights: Some of the game’s sub-plots are amusing, an example being in the game’s third chapter, where a Wiggler has become magically segmented, leaving Mario and Kersti to bring the segments back to Wiggler’s head. 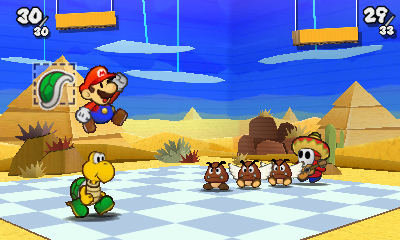 The game includes some of the best 3D effects on the 3DS, with enemies flying into the background and foreground after Mario gives them a whack with a hammer. And the use of a traditional world map, while differing from past Paper Marios, feels at home in a handheld entry. On one hand, you could say Nintendo deserves some credit for trying something different with the series, when they could have easily played things safe. Unfortunately, this is a case of change bringing less-than desired results. Paper Mario: Sticker Star retains the accessibility of its predecessors, but from its battle system to its story and writing to its absence of partners, it forgets the very reasons we loved the series to begin with.